Last week when I got home from work, I had a letter in the mail from a sender I didn’t know. I opened it and this is what appeared …. 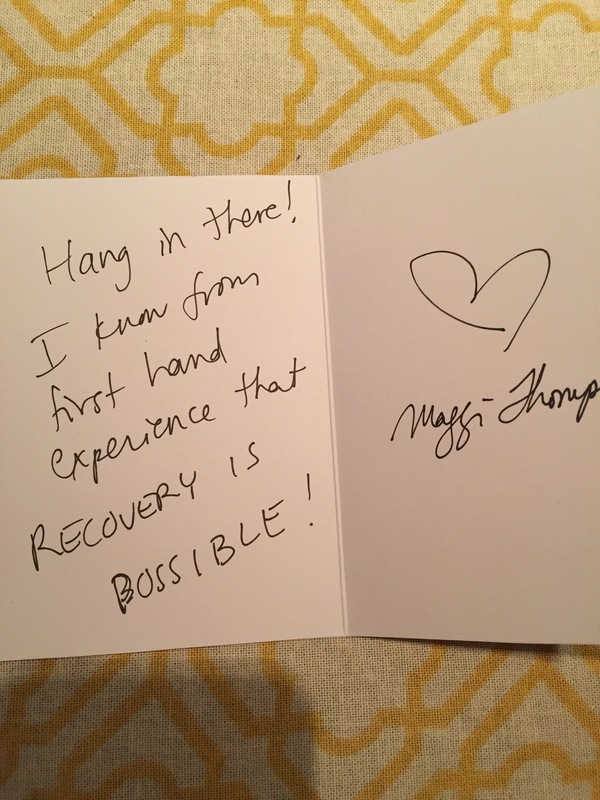 A very simple note, from a complete stranger that made me feel so warm inside and gave me energy I didn’t knew I had that day. I got my own SmileCard. And you know what?! It worked. I smiled so big and was so touched by someone’s small act of kindness. So first of all, thank you to whoever sent this— it’s exactly what I needed. Secondly, this inspires me to keep writing cards- they make a difference. 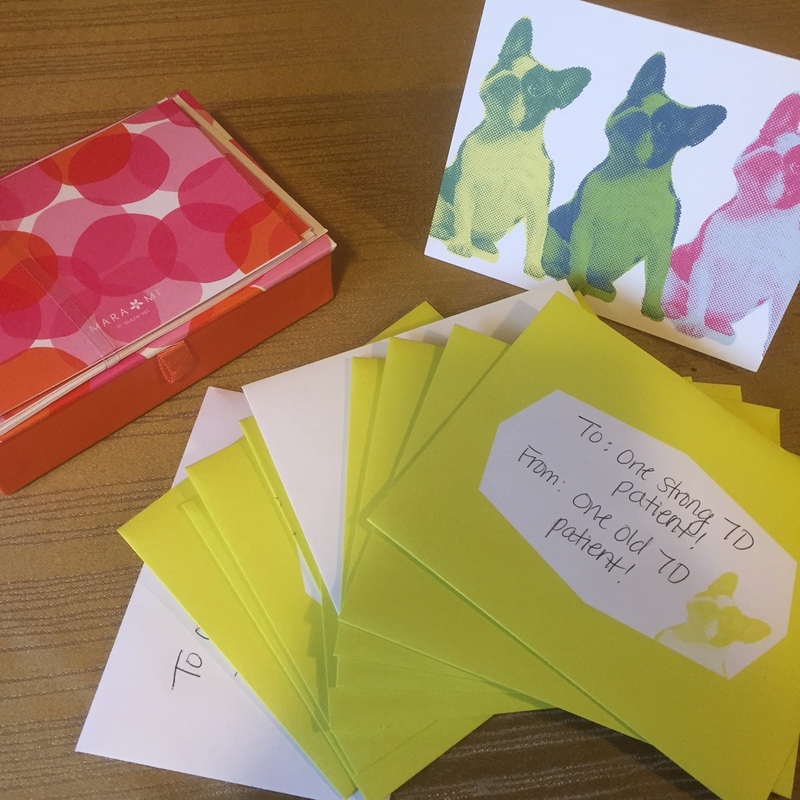 If you want to make a difference in someone’s day, write a Smile Card- write a few, whatever comes to you, and send my way (2Webster St. Somerville, MA 02145). I’ll take them to the hospital- there are ALWAYS patients that need them. 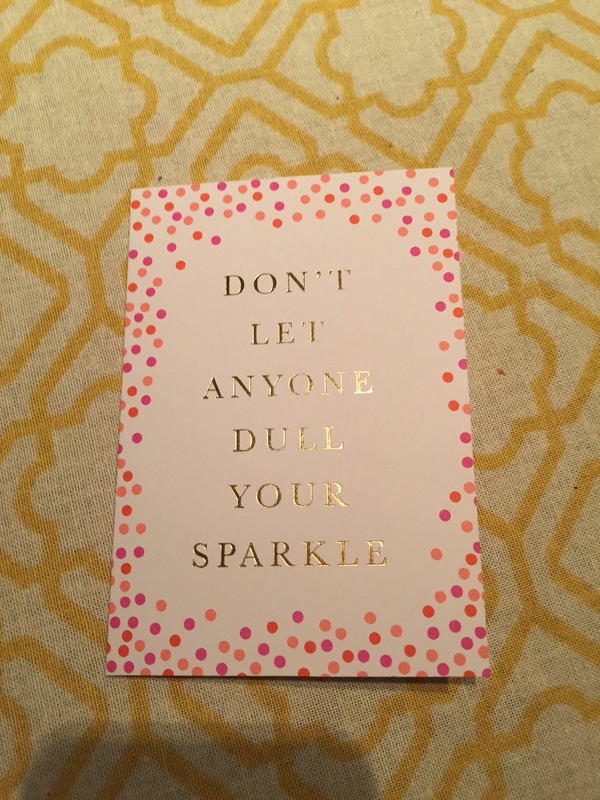 As we start this new week, let’s take from the important of this saying– don’t let anyone or anything dull your sparkle- you have a lot of sparkle so let it shine!